When Detonics plays, people start moving their feet. Get ready for very energetic West Coast blues, played by 5 guys with looks to kill. Not only do they sound like the fifties, they also dress up fifties style. 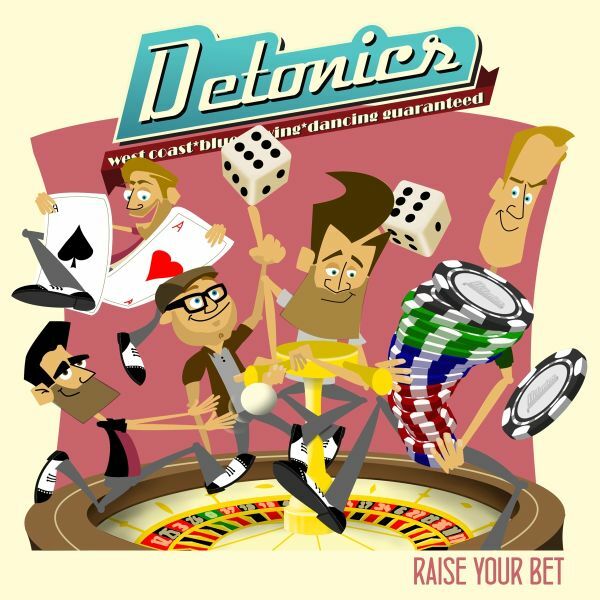 Inspired by the early West Coast blues, Detonics mainly plays Swing & Boogie. But dont be surprised when you hear them play a Rumba or a slow blues, all of course in West Coast style. Creative, explosive music, without adding too much to the traditional sound. The band has headlined on major international festivals and clubs. Detonics is praised for their creative songs and powerful performance by expert juries: in 2016 the guys won the Dutch Blues Challenge and represented The Netherlands at the European Blues Challenge. In 2017 they even reached the semi-finales of the International Blues Challenge in Memphis. One of the jury members commented: "The moment they started to play I got a smile on my face that didnt get off anymore. When Detonics plays, people start moving their feet. Get ready for very energetic West Coast blues, played by 5 guys with looks to kill. Not only do they sound like the fifties, they also dress up fifties style. 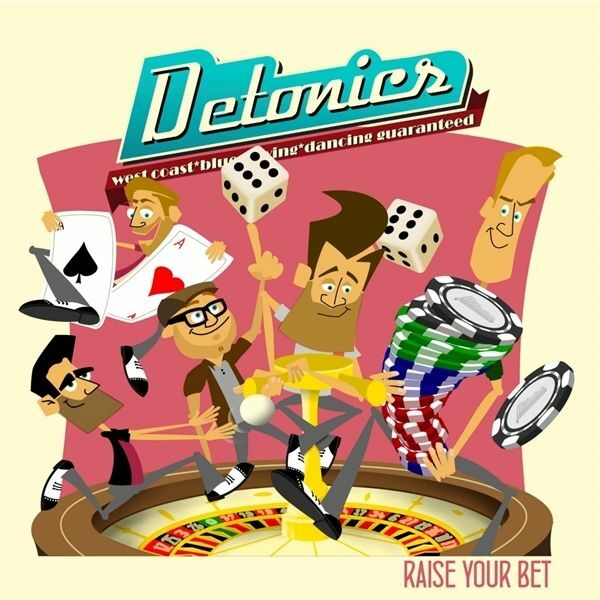 Inspired by the early West Coast blues, Detonics mainly plays Swing & Boogie. But dont be surprised when you hear them play a Rumba or a slow blues, all of course in West Coast style. Creative, explosive music, without adding too much to the traditional sound. The band has headlined on major international festivals and clubs. Detonics is praised for their creative songs and powerful performance by expert juries: in 2016 the guys won the Dutch Blues Challenge and represented The Netherlands at the European Blues Challenge. In 2017 they even reached the semi-finales of the International Blues Challenge in Memphis. One of the jury members commented: "The moment they started to play I got a smile on my face that didnt get off anymore".